While protein is essential for human body, it is hard to digest in its purest form. This is where the process of hydrolysis comes to the fore, which happens naturally, increases the digestibility of protein, and enhances its functional properties, bioavailability, and bioactivity. Protein hydrolysates are highly useful for patients who are unable to digest regular food protein, and for liquid food production and formulation. Meat protein hydrolysates and milk protein hydrolysates are different ingredients that have relatively low antigenic properties. With growing geriatric population across the world, prevalence of several diseases that require patients to maintain a light diet, and escalating number of infants, the demand in the global protein hydrolysates market is expected to increment at a fairly robust rate during the forecast period of 2017 to 2025. Owing to their functional properties, the acceptance of protein hydrolysates as viable ingredient in the food and beverage industry is the primary driver of the market for the same. The application of protein hydrolysates is expanding to other end-use segments such as sports nutrition and ready-to-eat product segments is further fueling the demand for the same. Moreover, the cost of per feed for new-born with products made of protein hydrolysates is significantly lower than other liquid formulas, and offer essential amino acids for a proper growth. This is another factor augmenting the demand in the global protein hydrolysates market. Emergence of e-commerce has paved a way for protein hydrolysates product manufacturers to reach a whole new chunk of targeted consumers, and consequently driving the global market. Infant nutrition and nutraceuticals are opening new creative opportunities for vendors in the global protein hydrolysates market. As infants are generally unable to digest cow’s milk, formulas of protein hydrolysates aid in digestion as well as reduce allergy risks. Currently, the awareness regarding this benefit is limited, especially in the rural areas of the emerging economies, but the presence of vast population is expected to prove a boon for the global market for protein hydrolysates. With changing lifestyle and other physical complications, a significant chunk of mothers across the urban areas are unable to feed their child themselves, for which protein hydrolysates may prove to be essential. North America is currently the most profitable market for the vendors participating in the protein hydrolysates market and is expected to retain maximum demand in the near future too, which is a reflection of urban lifestyle in most of the cities in the U.S. and Canada and high awareness levels regarding the benefits of protein hydrolysates. On the other hand, vastly populated Asia Pacific is expected to increment the demand for protein hydrolysates at most prominent rate during the forecast period. 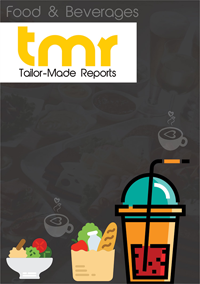 Economic growth of countries such as India, China, South Korea, Japan, and Malaysia is fueling the demand for nutritious food and beverage products in this region and augur well for the future with growing popularity of e-commerce and increasing buying power of the consumers. Some of the leading companies currently operating in the global protein hydrolysates are Koninklijke DSM N.V., Abbott Nutrition, FrieslandCampina, Arla Foods, and Kerry Group, while some of the other notable players who are expected to make a mark in the market in near future are Tate & Lyle PLC., Glanbia PLC, Archer Daniels Midland Company, Nestlé S.A., and Danone Nutricia. Product innovation and strategic acquisitions to expand their geographical outreach are two of the primary methods adopted by the leading players to maintain their stronghold over the market.